Starring Wendi Dunford (an actual therapist) and Scott Johnson (her actual brother). Listen in as we give you 12 episodes of real help in the modern age. Parenting, abuse, bullies, money, anxiety, family…all of it is here for the consuming! Wendi and Scott dig into the interesting space around Nurture and Nature. And this ends season one! Wendi and Scott talk about body image issues, and how they effect men and women. How hard is change? Big changes…small changes…all kinds of changes. None of them are easy, and not all of them are good, but this episode goes deep into how to deal with the effects. We go into all the ins and outs of having in-laws. How do deal with them, how they deal with you, and how it can all get easier if you really want it to, on this week’s Therapy Show. EPISODE EIGHT – Politics and Tribes! Let’s sit a spell and talk about why we pick sides, what’s really behind it, and why our brains like tribes, on this week’s Therapy Show. Money is a problem. It’s also kinda great. And terrible. We talk all about what it is, and why it makes some people have bad lives, on this week’s Therapy Show. We get into the kinds of family dynamics that effect people’s lives, now and in the future, on this week’s Therapy Show. We get down to the gritty truth about REAL addiction. All that and more on this week’s Therapy Show. Wendi and Scott talk about the connections between addiction and addictive behavior, and stress levels. All that and more on this week’s Therapy Show. 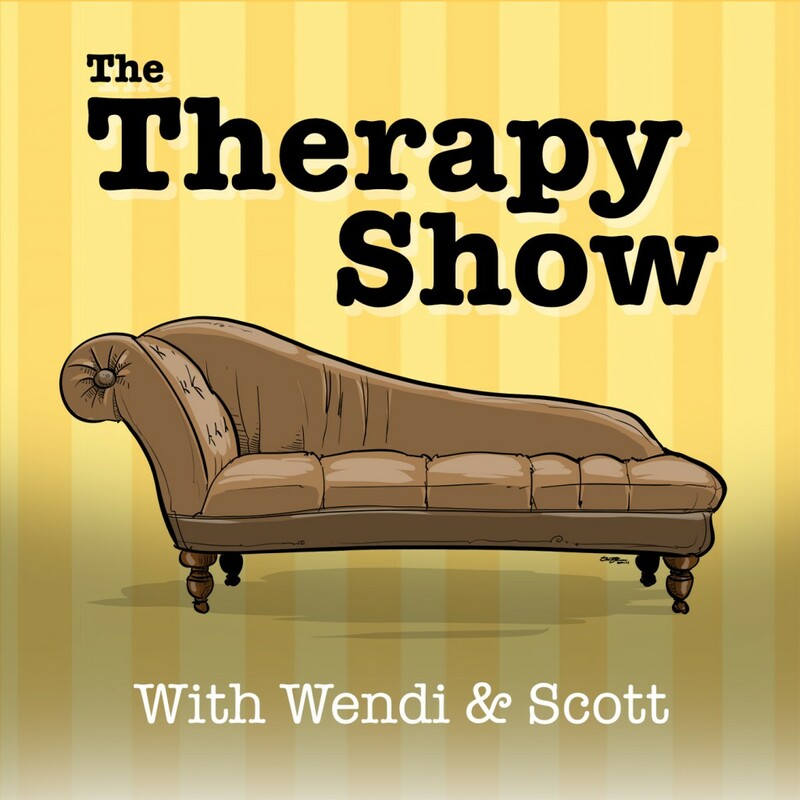 Wendi and Scott get down to the big differences between men and women, and a lot more in this week’s Therapy Show. Talking about bullies: What creates them, what we need to combat them, and some talk about whether or not we have gone too far into the bully fear camp or not. All that and a lot more on this edition of The Therapy Show. We go deep into a very common set of mistakes parents make in this day and age, and discuss ways of dealing with it. Welcome to episode 1!